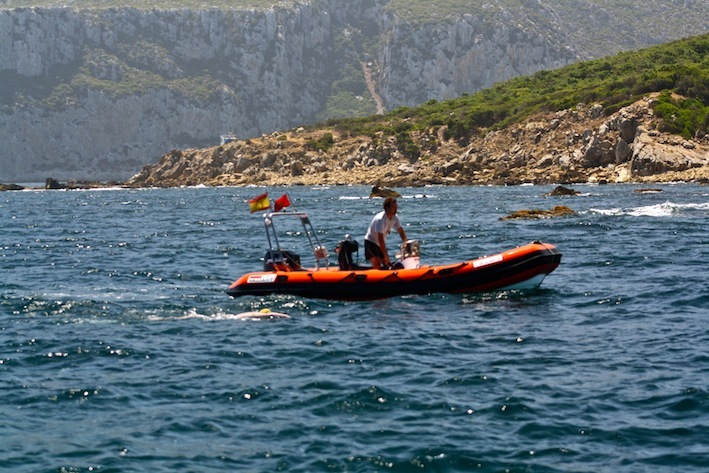 Nearing the end of my Strait of Gibraltar solo, only the 282nd non-wetsuited crossing! 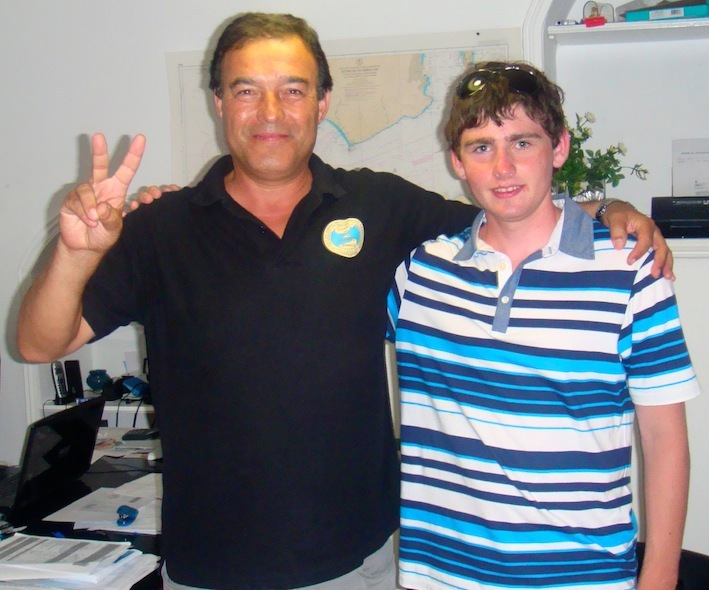 On Thursday, 22nd July 2010, less than 48 hours after arriving in Spain, I successfully swam across the Strait from Tarifa Island to Almansa in 3 hours 52 minutes. This was a really enjoyable swim – the water temperature was a balmy 19ºC and the ACNEG pilots and crew are very friendly and professional, even though I was the one who was almost an hour late turning up at the harbour! One thing to note, if you intend doing this swim, is that if you are late starting or swim slower than expected, you may get a bit of a wake up call towards the end! In my case, because I was late starting, I was not finished before the sudden increase in wind speed around midday. This meant that, about 1 km from the Moroccan coast, the conditions changed very suddenly – within one stroke, the water became a much lighter blue colour, the temperature dropped by about 1ºC and the surface became very agitated. While the conditions were still very manageable, a swimmer could be caught off guard. 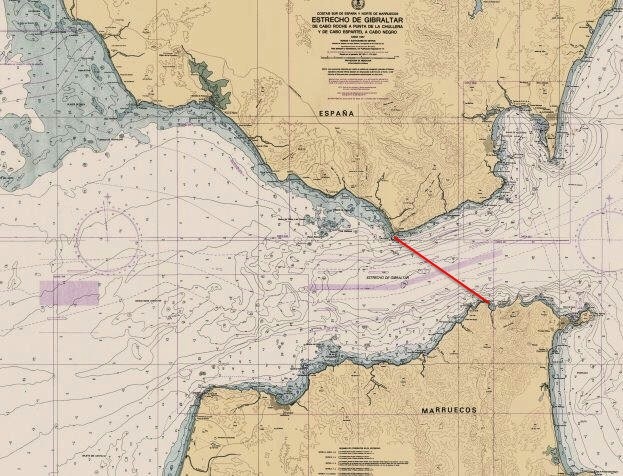 A chart showing my approximate route across the Strait. Bear in mind that I was swimming almost directly South all the time! Double crossings of the Strait are rare due to the strong, easterly flowing, surface tidal stream. The warm surface water flows from the Atlantic into the Mediterranean, while the cooler water beneath flows in the opposite direction. To date, there has only been one triple crossing! Wetsuit crossings are quite common.